Darren Moore is a graduate of the Australian Defence Force Academy, the Royal Military College, Duntroon, and the Australian Command and Staff College (Joint). He served in the Australian Army for seventeen years. Highlights of his military service include deployments to Papua New Guinea and East Timor and an exchange posting with the United States Army. He is currently employed as a management consultant. Darren has a BA from the University of New South Wales, an MBA from the University of Queensland, and a PhD from the University of New South Wales. 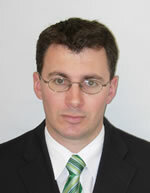 His PhD thesis examined the impact of technology over the last two centuries on the burdens faced by soldiers. Darren's first book, 'Duntroon: The Royal Military College of Australia 1911-2001', was launched by the chief of the Australian Army in April 2001. Given that at the time I was seeking representation I was based in Australia, this gave me pause in approaching a number of literary agents who it appeared were not prepared to take on overseas clients. This was not the case with Andrew, who was already representing a number of my countrymen. Also Andrew, unlike many of his colleagues, had a well-developed website, which enabled me to gauge his ability to represent me based on his track record with similar books in the genre. Finally, Andrew, again unlike many of his colleagues, was prepared to accept submissions by email which, for a foreign-based author, greatly cut down the cost and the time delay in the process. Darren Moore’s history of soldiering provides a penetrating insight into the politics, emotions and psychology of war and its aftermath. 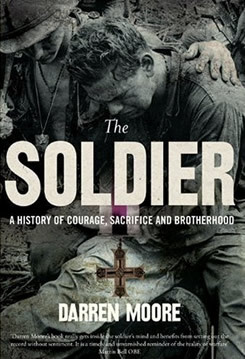 The Soldier has been launched in the US by Thistle Publishing, as a paperback and ebook.